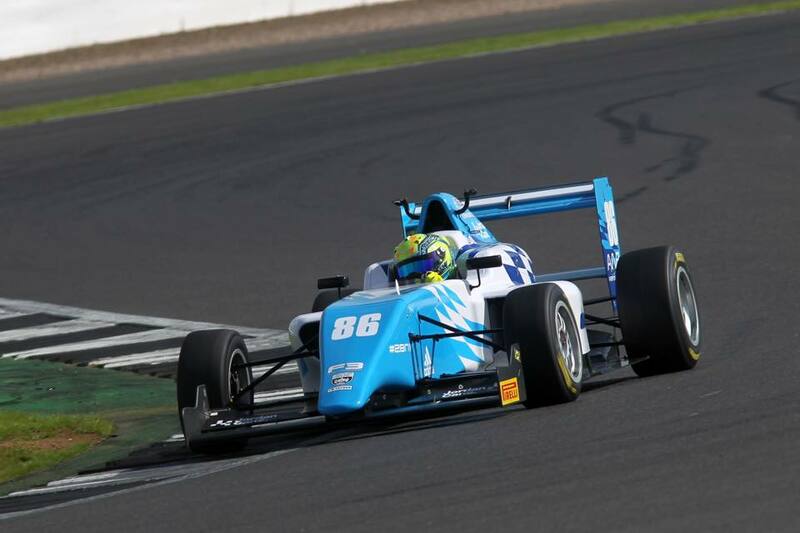 Round 6 at Oulton Park saw two collisions, each of which put a Douglas Motorsport driver out of the race. Jamie Chadwick and Arvin Esmaeili were the victims of some bad driving by others. 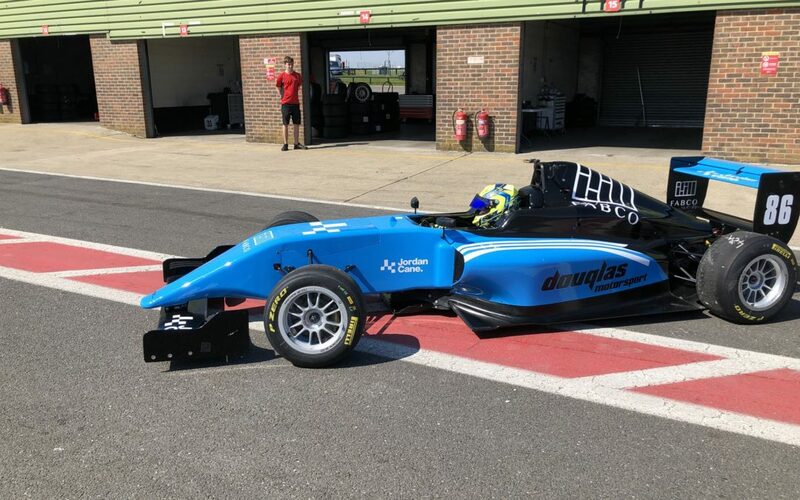 This time at Snetterton, in the first practice session on Friday it was Jordan Can’es turn. After a good practice day on Thursday, Jordan was fastest in most sectors and right up at the top of the practice times in each session. However on the Friday morning, on the first lap of the first practice session, Jordan was taken out of it by a car on slick tyres on a wet track who missed his braking at the end of the straight and went across the grass, taking Jordan Cane out of it when he emerged from the grass back onto the track. Thursday testing went very well being fastest in most sectors in the dry sessions and a great race car underneath me, Friday however was a different story, on a wet track on the very first lap of the day another driver on slicks on a wet track missed his braking at the end of the straight and went straight across the grass, he t boned me as I was exiting the next corner. To be honest it could’ve been much worse, The car was all but destroyed from the roll hoop back, the team did a great job in getting me out for the last session but there were still issues in the car, Saturday we hoped we’d sorted everything but found further issues in both gearbox actuator and engine, despite that I think I drove as well as I ever had to get 6th in quali and fourth in the race 1. However it was evident that despite all the hardwork to get the car fixed we found more and more damage from the Friday crash. The boys worked past midnight to put in a brand new engine and I can’t thank them enough but a new engine still takes time to loosen up and for Sunday we still had a speed issue. In race 2 the plan was just to get a good lap to move us up the grid for race 3 and I did mess this up a bit I didn’t leave a big enough gap to the car in front and kept catching him before the end of the lap, we were lacking engine but I could’ve done better. Race three was a bit of a procession but I drove well enough. Arvin Esmaeili had a good weekend, finishing all races which included a 5th place in race 2 – his best result of the season so far. Jamie Chadwick couldn’t match the great results on the first weekend of the year, but nevertheless finished all 3 rounds with 7th in round 9 being the best. Silverstone is next for rounds 10, 11 and 12 and each driver will be pushing for podium places.